One of the frequent queries we have faced in the past months as we ramp up our consultancy and advisory for travel agencies and other merchants, has been the question of segmentation. Now, before travel agencies were imposed with the requirement for PCI-DSS by IATA, we had very few opportunities to work with small merchants for PCI-DSS. It’s not because small merchants are exempted from PCI. They are not. Small merchants must be PCI compliant, but in reality, very few banks are chasing smaller merchants for their compliance. Our experience with merchants had been with the fairly large ones – the large petrol companies, the large retailers, the telcos and the largest travel agency being our experiences. From the time we started PCI back in 2010 to around 2014, it has mainly been for financial institutions and banks. But now with IATA flexing their regulatory muscle to make sure agencies are PCI compliant by 1st of March 2018, we have had plenty of opportunities to go into much smaller environments that we are used to. And it has been a really great experience. And we have done this before. One of our client has a completely isolated network for PCI-DSS with its own gateway and basically its a flat network with everything as CDE (Card Data Environment). Possible, but in enterprise environment, probably not so realistic if it drags in hundreds of systems. Without going too much into scoping, the main topic of this article is: if we need to segment, how do we do it? At the onset, the question seems superfluous. How to segment? Why, by network subnets of course, or by VLANs (virtual LANs). These terms (subnet and VLAN) have been used interchangeably by myriad of customers over the years, and in most cases, they actually do multiple VLANs across different subnets, but in theory you can also have VLANs on single subnet as well. So, no – VLANs and subnetting are actually not the same but for the sake of not being pedantic, most of the time, we just allow the client to use whichever term they choose. In most cases over the years, our clients won’t have a problem with this. Segmenting either via VLAN or network subnet, they can achieve this fairly easily through their switch or their edge router, as they usually have advanced firewalls/routers/L3 switches deployed in their network. But going into the very small companies with a handful of people, no technology personnel, and running the D-Link DIR-615 low end routers provided by Telekom? How do we do this? We have heard other consultants declare that these companies need to invest in enterprise grade firewalls/routers to achieve PCI compliance, because some of the entry level router/firewalls are unable to do any segmentation or VLAN. Of course, you could hack the DIR-615 to WRT and that might provide you some limited VLAN capability, but that’s beyond the scope of this article. And in any case, we doubt any of the smaller merchants have the inclination to fiddle around with their routers. So if you are stuck with a firewall/router that cannot do any network segmentation, does that mean that everything needs to be brought into scope? Does that mean you need to spend thousands to get a firewall upgrade? Without adequate network segmentation (sometimes called a “flat network”) the entire network is in scope of the PCI DSS assessment. This phrase actually enables many people to pre-suppose that PCI is stating that the only segmentation allowed here is by the methods we discussed above – i.e anything that creates a non-flat network. But this is confusing because when we say ‘flat network’, we are already indicating we are referencing to Layer 3. However it’s entirely possible to have layer 2 VLAN isolating systems within the SAME SUBNET (multiple VLANs – Single Subnet design). Heck, you could even have multiple subnet on a single VLAN if you want … I think I remember this from my Cisco CCNP days. So, actually, in theory , unless PCI refers to something else when it says ‘Flat Network’, their statement isn’t that accurate. You could isolate systems in a flat network. Network segmentation can be achieved through a number of physical or logical means, such as properly configured internal network firewalls, routers with strong access control lists, or other technologies that restrict access to a particular segment of a network. So back to the phrase Physical OR logical, this generally means PCI accepts Physical segmentation, even if there is NO LOGICAL SEGMENTATION? What does that mean? Does it mean if I have two systems hooked into the same switch, on the same network, pinging each other, I set up a physical brick wall between these two systems, I have achieved Network Segmentation? Surely not. So whoever have written this phrase either needs to clarify this statement proper, or simply, he or she is ! (Tech Nerd). 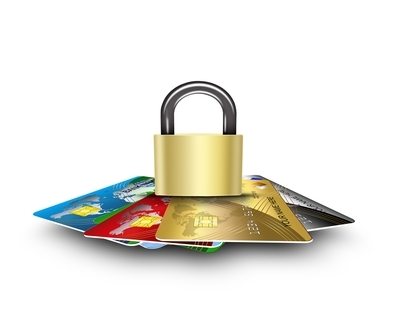 At a high level, adequate network segmentation isolates systems that store, process, or transmit cardholder data from those that do not. So finally they decide and say, ok, anything that ISOLATES systems can be considered network segmentation. So at least we have a lead here to go with. Anything that ISOLATES. – Host-based firewall and/or intrusion detection and prevention system (IDS/IPS) on in scope systems that block connection attempts from out-of-scope systems. This is one indication that PCI looks at alternate ways of ‘segmentation’, other than getting an enterprise grade network firewall. Once more, the conjunction used here is “AND/OR”, which we take to mean, either AND (&&) or OR (||) can be used for these two statements (Host-based firewall, IDS/IPS). So what this basically states is that a host-based (not network firewall) firewall is good enough, if configured properly to be considered as a segmentation tool. This is still less clear due to our “AND” and “OR” arguments, because aside from the illogical “logical or physical” statement (which PCI clearly inherited), we have the problem stating “network and host-based firewalls, virtual routing and switching appliances, and access control lists”. This, to us, might mean we need ALL of these things for isolation to be TRUE. In order to restrict other workstations on the same network from being “infected,” the dumb terminals must be isolated (e.g., using a host-based or network-based firewalls, etc.). The example here is “using a host-based or network-based firewalls.”. As you now are very well aware, this means this statement is true if any of these options, or both these options are true. You see, some writers do not think twice about the usage of “AND” and “OR” operators or ‘conjunctions’ to normal English-speaking people. These are extremely powerful operators and carry entirely different meanings to what normal people may deem as normal sentences having the same meaning. Another key life example here would be if your wife (again a very relevant example) were to ask you after a late night out with the guys whether you’ve been to the bar to watch football or to watch strippers, to which you respond: “YES”. So be careful because different people parses sentences differently, depending on whether you see life in code or not. It could very well change your life. We have also discussed this topic of segmentation at length with some senior QSAs (QSAs who have much more experienced compared to the green horns) and they have agreed that host-based firewall, or Host IDS are acceptable forms of isolation, but requires a significant amount of configuration to ensure isolation is done properly. “Done properly” here carries a fairly subjective weight to it. QSAs are a funny lot, because many of the requirements in PCI are general, and then it’s up to the QSAs to decide whether a particular control satisfies their own concerns whatever that might be. To summarise, segmentation can be carried out easier through deployment of a network firewall and getting the segmentation rules sorted out there, but if the merchant is short on funds, and have 1 or 2 systems only to configure, a fix could be a “properly configured” host-based firewall, or a host-based IDS/IPS. Segmentation testing still needs to occur, though, but that will be for another article for another day. Now, I will have my coffee OR tea to finish up my day. TRUE. For more information on PCI-DSS, feel free to drop us an email at pcidss@pkfmalaysia.com. This entry was posted in IATA PCI-DSS, IT Audit, IT Compliance, IT Security, PCI-DSS, PKF Avant Edge, PKF AvantEdge, Technology and tagged host-based firewall, IDS/IPS, network segmentation, PCI-DSS, segmentation by pkfavantedge. Bookmark the permalink.